Frieda and Eric continue the short, sharp shocks of pods with this 30-minute beauty looking back at the match against K*ln. 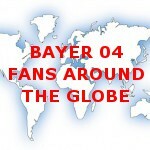 Bayer Leverkusen can once again stake the claim that they are indeed Die Macht am Rhein and undefeated in five matches! We hit the Pokal match against Berlin a little as well, and talk choreos at the beginning. Lots of good stuff in a small package! Enjoy!